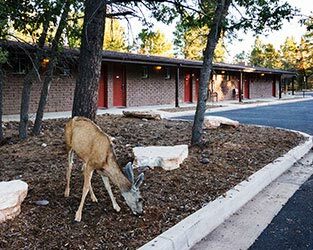 There's no better place for sightseeing than the Grand Canyon, and the South Rim has an incredible number of gorgeous overlooks, as well as museums, historical sites and more. 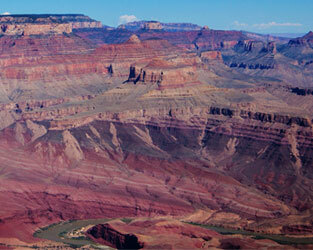 Find the perfect photo op at the canyon rim, or go from site to site by shuttle bus, car or bike. 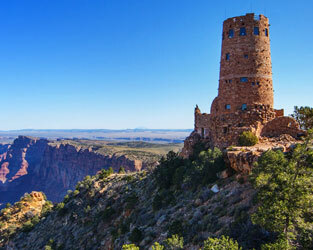 The South Rim is also one of the world's best locations for stargazing and bird watching. Not sure where to start? No problem. There are great things to see and do all around the rim. 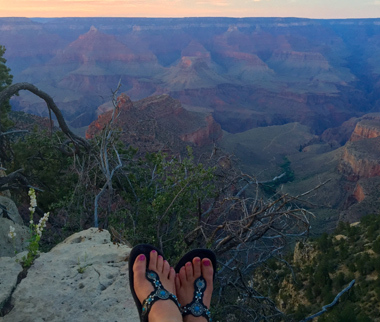 Whether you're looking for the perfect souvenir, hiking and camping equipment or even groceries, you'll find it on the Grand Canyon's South Rim. 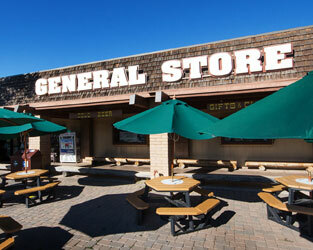 The Canyon Village Market carries all of these things, while Verkamp's Visitor Center has been selling Grand Canyon souvenirs since the early 1900's. 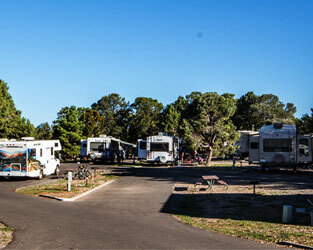 As you might expect for a destination as popular as the Grand Canyon, most of the park's historic sites, museums and points of interest offer souvenirs, books and more. The Desert View area also offers some of the most unique shopping opportunities in the park. 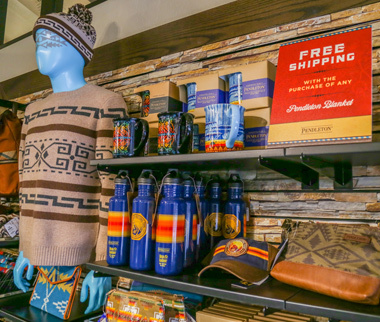 There's a Trading Post where you can buy authentic Native American crafts made by locals, a General Store and gift shops at the historic watchtower and museum.